Pigs are one of the smartest animals on the planet. Their intelligence ranks higher than dogs and even some primates. In their natural state, Pigs are very clean animals. They keep their toilets far from their living or feeding area. They are much more tolerant of colder temperatures than heat. Pigs have no sweat glands, so they can't sweat hence enjoy being in mud to keep themselves cool. When they are trained piglets can learn their names by two to three weeks of age and respond when called and can learn tricks faster than dogs. Pigs use their grunts to communicate with each other. The grunts made by pigs vary depending on the pig's personality and can convey important information about the welfare of this highly social species. Newborn piglets learn to run to their mothers’ voices, and mother pigs can communicate with them through her grunts whilst they suckle. Due to scientific research, it is now known that piglets have a certain teat order, and every piglet has its own teat. They like to get massages, (in natural conditions) use trees for rubbing, relax while listening to music, are very curious animals and like different enrichment toys. The highest density of tactile receptors is found in the pig's snout. Pigs use it mainly to dig in the dirt and smell for food. 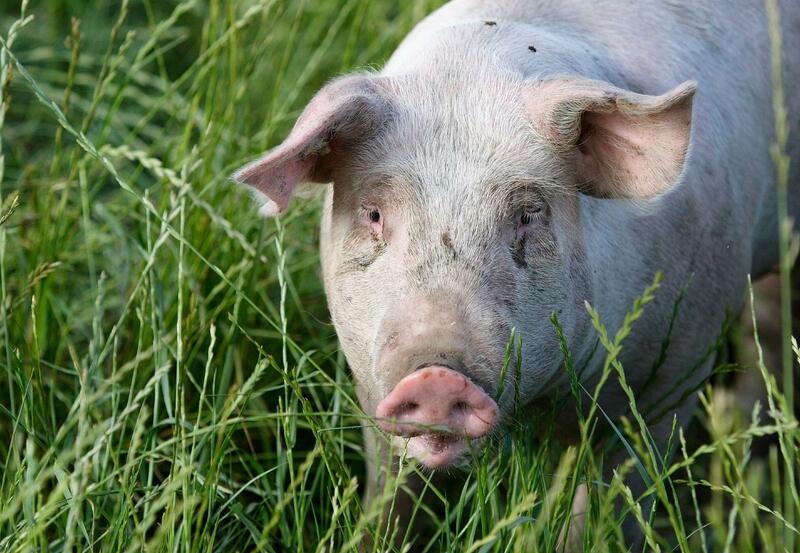 A pig´s sense of smell is about 2000 times more sensitive than human´s. Pigs are very social animals. They form close bonds with each other and other species and some like to cuddle up close, especially at low temperatures.